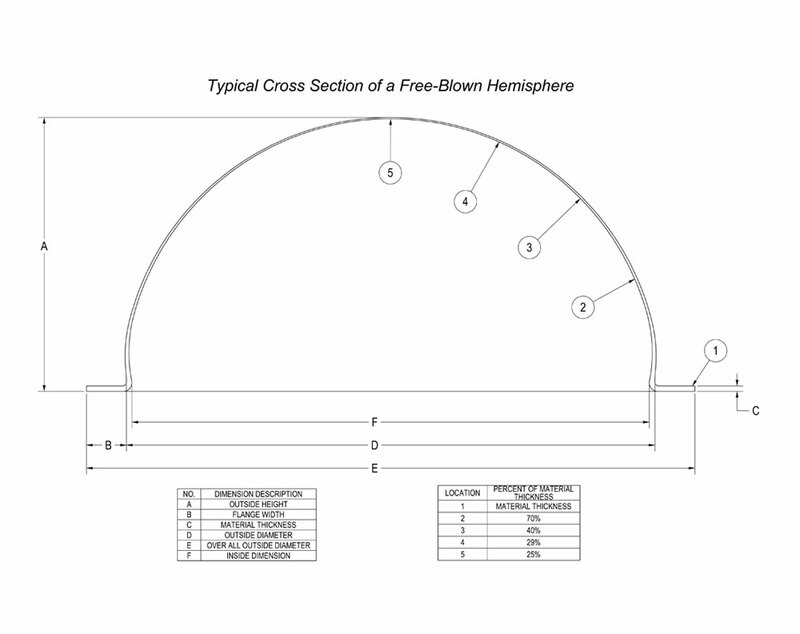 Hemisphere is 18″ in diameter at the base not including the flange. Buy 6 or more for a 10% discount! Please choose your flange width from the dropdown below. 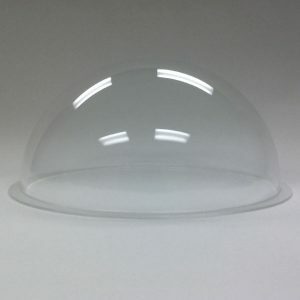 The flange width has no impact on the size of the dome. No Flange: 18″ outside diameter at the base. 1/2″ Flange: 19″ outside diameter at the base. 1″ Flange: 20″ outside diameter at the base. 1 1/2″ Flange: 21″ outside diameter at the base. Our stock plastic hemispheres are fabricated from 1/4″ thick, clear acrylic. As the plastic is stretched to make the hemisphere, the leading edge of the hemisphere will shrink to about 3/16″ thick, and the apex (top) may be as thin as 1/16″. Hemispheres ordinarily come with a 1.5″ flange. Therefore, a 12″ hemisphere with a 1.5″ flange would have an overall outside diameter of 15″ (4″ hemisphere comes with 1/4″ flange). We can custom size your flange or ship the hemisphere without a flange. Please specify when placing your order. 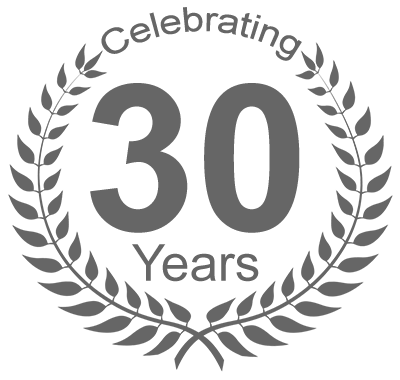 If you are planning to make your hemispheres into a sphere or globe, please let our salespeople know in advance or visit our plastic spheres page for more information. For orders of 25+ hemispheres, please call us at 909-930-5535 for the lowest pricing on both the hemispheres and shipping.